The Greyfriar Living Literature Series has brought many of the best literary writers to campus to read from their work and teach workshops on writing or lead discussions of their writing. The Greyfriar Living Literature Series has brought many of the best literary writers to campus to read from their work and teach workshops on writing or lead discussions of their writing. The list of writers hosted by the series is impressive; even early on Pulitzer Prize winning poet Gwendolyn Brooks, and new critic poet John Crowe Ransom, met students and faculty. Most recently, the series has sponsored readings by Nobel Prize winning poet Derek Walcott, other Pulitzer Prize winning writers like Junot Dìaz, Natasha Tretheway, and Yusef Komanyakaa, as well as leading voices in Irish literature such as Eamon Grennan, Colum McCann and Claire Keegan, and many multi-cultural voices, most recently Gary Soto. In 2000, the series sponsored a series of readings and workshops by Siena alumni who have continued to write and publish their work: Christiane Farnan, David Baratier, Barbara Stewart and Edward Hoffman. The series remains committed to bringing exceptional literary talent to the campus. In April 2013, we welcomed internationally renowned novelist and poet Julia Alvarez. In academic year 2013-14, we were happy to welcome the novelists and short story writers Steve Stern and Steven Millhauser, as well as poet, fiction writer, and literary critic Shirley Lim to campus. The Spring 2019 Greyfriar Writer-in-Residence was Dr. Anand Prahlad. He is the director of creative writing at the University of Missouri, where he teaches folklore, film, creative writing, and disability studies. 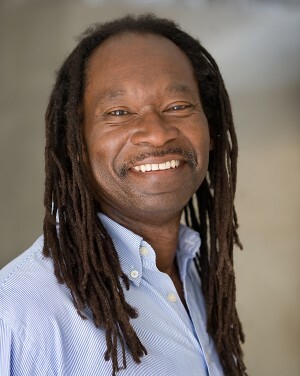 He is the author of five books, including two collections of poetry (Hear My Story and Good as Mango), two scholarly studies on black folklore (African American Proverbs in Context and Reggae Wisdom: Proverbs in Jamaican Music), and his recent award-winning memoir, The Secret Life of a Black Aspie, published in 2017. Prahlad is also the editor of The Greenwood Encyclopedia of African American Folklore and The Greenwood Student Encyclopedia of African American Folklore. The Fall 2017 Greyfriar Writer-in-Residence was Rachel Hall. Hall holds an MFA from Indiana University where she was the Hemingway Fellow in Fiction. Currently, she is Professor of English at the State University of New York-Geneseo. She teaches creative writing and literature and holds two Chancellor’s Awards for Excellence—one for teaching and one for her creative work. Hall’s stories and essays have appeared in a number of journals and anthologies, including Bellingham Review, Crab Orchard Review, Gettysburg Review, Lilith, New Letters, and Water~Stone. In addition, she has received awards and honors from the Bread Loaf Writer’s Conference and the Saltonstall Foundation for the Arts, as well as from publications such as Lilith, Glimmer Train, and New Letters. Her collection of linked stories, Heirlooms, was awarded the BkMk Press 2015 G.S. Sharat Chandra prize, selected by Marge Piercy. The Spring 2017 Greyfriar Writer-in-Residence was Pamela Erens. Erens is the author of three novels, The Understory, The Virgins, and Eleven Hours. The Understory was a finalist for the Los Angeles Times Book Prize and the William Saroyan International Prize for Writing. The Virgins was a New York Times Book Review and Chicago Tribune Editors’ Choice and was named a Best Book of 2013 by The New Yorker, The New Republic, Library Journal, and Salon. Eleven Hours has appeared on the “Best Books of 2016” lists of NPR, The New Yorker, Kirkus, Literary Hub, Entropy, and the Irish Independent. The novel received starred reviews from Kirkus, Publishers Weekly, and Library Journal. Erens is the recipient of 2015 fellowships from the Bread Loaf Writers’ Conference and the Wesleyan Writers Conference, and a 2014 fellowship from the Sewanee Writers’ Conference. 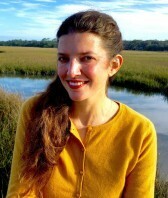 The Fall 2015 Greyfriar Writer-in-Residence was Christine Sneed. Sneed is the author of two novels, including Paris, He Said (2015), and one collection of short fiction. On October 19–20, 2015, she hosted a Master Class for select Siena students entitled, "Character and Interiority." Sneed delivered the Greyfriar Living Literature Series Reading on Monday, October 19th at 7:30 pm in Sarazen Student Union 243. The Fall 2014 Greyfriar Writer-in-Residence was Joseph Bathanti, the 2012-2014 Poet Laureate of North Carolina. On October 27–28, 2014, Bathanti hosted a Master Class for select Siena students entitled, "Writing the Narrative Poem."